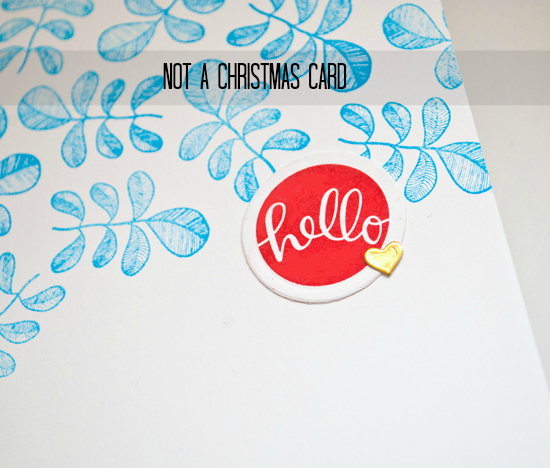 All the Christmas cards and stamps and embellishments ran out of here in protest from overuse. They are exhausted and need a vacay. Preferably one with eggnog and sleep. In came blue leaves and gold hearts and sunshine. They took up residence on this card. Awesome use of your time! 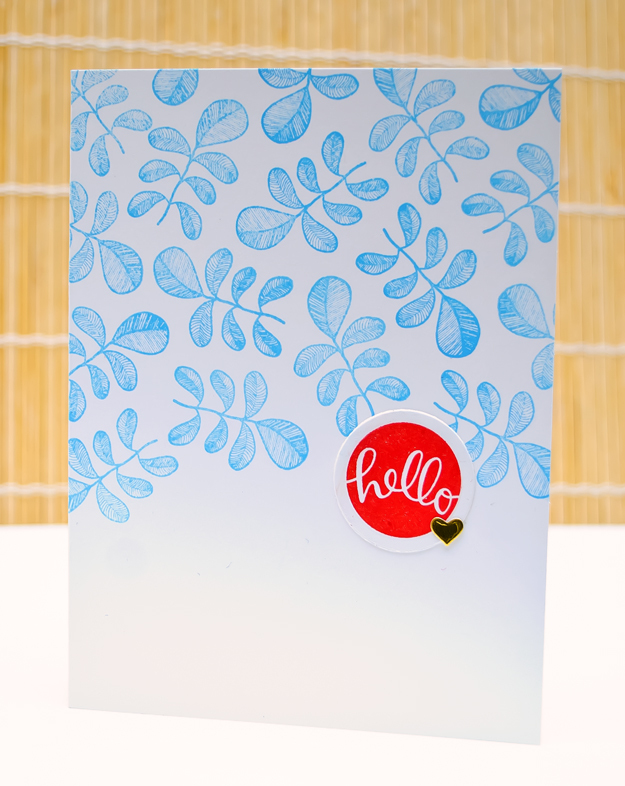 Love the blue and red combo and the little heart of gold! Oh I LOVE this! The colors are awesome. Ah! this looks awesome :) the pop of red is fab! Beautiful, Joan! I have been stamping @ 3:00am more than I want to say over the last month. I'm ready to put the Christmas cards away. Love those pretty blue leaves! That little gold heart is the perfect touch. This is wonderful. I was admiring those blue leaves, when it dawned on me that I have that stamp set. Feeling happy right now. What a great idea to spice things up a little with those blue leaves. I love everything about this! I love that it isn't a Christmas card (I hear you, my Xmas stuff ran off and hid weeks ago)! I love the blue leaves. I love that SPOT of BRIGHT red. Happy indeed! But 3 am? Now I'm tired just reading that.